The ECOSYS M2735dw will astound you with its various connectivity options and features such as Wi-Fi Direct it is ability to print at 1,200 dpi and its full copy, colour scan and fax functionality. Then all these features fit inside a well-designed and extremely compact housing which removes the need to hide this device away in a separate printing room. And the features continue: The ECOSYS M2735dw is controlled via a 4.3 inch touchscreen that provides great usability, even for inexperienced users. 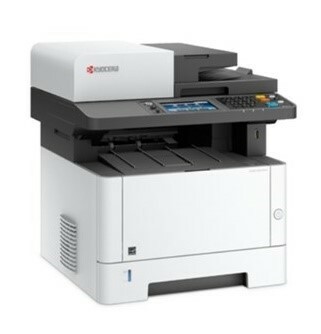 See the manufacturers web site Kyocera ECOSYS M2735dw for more information.